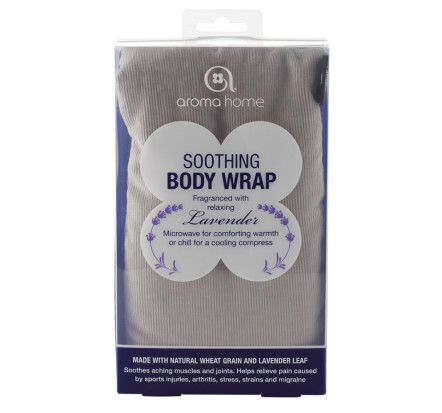 Soothe and relax your body with this microwaveable body wrap by Aroma Home. Made with 100% pure cotton, the body wrap is filled with ceramic beads and infused with lavender, to create a therapeutic wrap that can be used hot or cold. The soothing body wrap is designed to fit comfortably around the neck, over a shoulder, wrapped around an arm or leg, across the stomach or around the lower back. Great for treating sports injuries, tension, this is the perfect treat as well as an ideal gift for your loved ones.